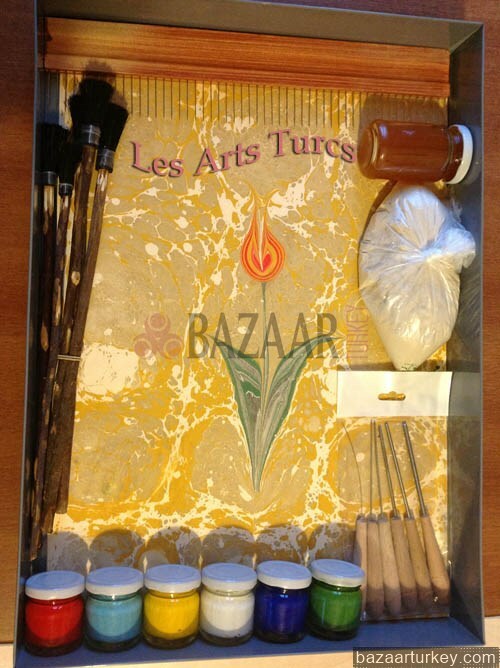 Turkish Marbling Ebru Lessons and Workshops In Istanbul,Ottoman Marbling, Traditional Ottoman Marbling Lesson, Art of Ottoman Marbling,Turkish Marbling - Ebru Lessons in Istanbul,Turkish Paper marbling,Ebru art, Turkish artist, Ottoman Marble Ebru,istanbul,istabul, Sultanahmet, Classical Ottoman Marble,Turkish Marbling ( Ebru ) Set,CLASSICAL TURKISH MARBLING,Gum tragacanth,Dye,Paintbrush,Basin,Water,Paper,Gall,Marbled paper, called ebru in Turkish,calligraphic panels in Turkey,gelgit, tarakli, hatip, bülbül yuvasi, çiçekli,respectively come-and-go, combed, preacher, nightingale s nest, flowered, etc,Ebru technique,Athanasius Kircher in Rome,Istanbul,Turkey,turkish,ottoman,Ebru,Ebru Lesson in ıstanbul,Traditional Ebru Lessonebru, marble, Ebru, Marble, Marble lessons, Learning Marble, Marble in istanbul, ebru workshops, marble workshop, ebru lessons, ebru lesson, marble lesson in turkey, marble turkey, marble turkiye, ottoman marble, private marble lessons, ebru teaching, marble teaching, alp aksahin, marbling,paper marbling, fabric marbling, faux marbling, marbling paint, contemporary create design fabric marbling paper technique traditional, marbling technique, art of marbling, art of marbling in istanbul. Whatever its meaning and scope is, whatever it covers or discloses,there is life. It may be condensed,exalted, athropied or obscured. Or it may become meaningful, evident, full of life. For a moment (or in some people for a lifetime) LIFE may acquire in one of its aspects vigor, density and depth. It’s the ART which assings such a density and clarity to the life. Art means intelligence which concieves what life is and which gives the life most attractive and beautiful forms. Life without art and intelligence is wild, insensible,it is a substance without forms, action without any aim. We don’t know exactly on which date the art of marbling started. We know that it originated from the Central Asia (Turkestan), the center of the civilisation with 100 centuries of history and spread over the world. The world Marbling in Turkish EBRU derives from the word EBRE in one of the older Central Asia languages which means “moire, veined fabric, paper etc.” useed for covering holy books and others. Through Silk Road this art came first to Iran. where it was called EBRU (cloud,cloudy) or ABRU(Waterface).Subsequently this art moved towards Anatolia and named after EBRU in Turkist language. About the end of XVI. century tradesmen, diplomats and travellers coming to Turkey brought this art to Europe and called it “TURKISH PAPER”. It was broadly used in Italy, Germany, France and England. Since the art of mabling had a significant importance in Islamic art, I belive that it is essential to recall the basic principles of Islamic art in order to have a better and closer look at marbling and thereby reach a deeper understanding. The foundation of Islamic art lies in Sufism, which can be defined as being together with God. Sufism is a way that theaches one to lead a life filled with morality,decency, piety, faith and prayer embued with love and enthusiasm. To live with sufism ensures the attainment of God’s love which has the highest degree of moral value. Sufism cures the virtual sinssuch as hate, pride, haughtiness, superficiality and jealousy. Sufism helps man to recognize himself and his God through guiding him to fight with his two invisible enemies namely the devil and self(nefs). Recovery of the soul from the virtual sins, enrichment of personality and the realization of peace with oneself can be achieved through continously repeating God’s name(dhikr). The Qu’ran teaches us that the soul can only be at peace by repeating God’s name. There are myriad ways of doing this. One of these ways is to be occupied with the beauty created by God, namely working and participating in fine art. Turks adopted Islam with great faith. As it was the case, they tried to express the DIVINE beauties in all branches of art. We see them looking after mystical beautis in architecture, music, ornamental art. At the time (XIV-XIX centuries) many theological scollos (dervish convent) become a kind of “Art Workshops” bringing up studuents by master to apprentice method. Even no signoture has been set at the foot of many works of art because of modesty coming from dervish precepts. Turkish have also acknowledged the calligraphy, wich gained much importance with Holy Qu’ran, as one of the main art branches and creating several forms to the Arabic alphabet brought it to perfection. Meanwhile Marbled paper has been used to decorate the scripts either as a backround or the blank spaces left in the four corner of the page.This is a clear evidence that Turkish envisaged marbling primarily as a WORK OF ART. The cocept of color paper used in bookbinding was accesory. Within this scope, marbling were since old times framed and nailed to the wall like oilpaintings. Since marbling was quite close to the contemporary concept of “Abstact Art” marbling artists were not compelled to behave differently. In brief the marbling art does not need to exerts efforts to make himself as contemporary art essentially. The ABC of Marbling is the Classical Barbling. Unless learning it in dept it would not be correct to undertake other attempts. the absorbtion capaticy and to fix the dye on it(more durable) and alumina solution may be applied on the paper surface. Thus dyes are made more easy to fix.